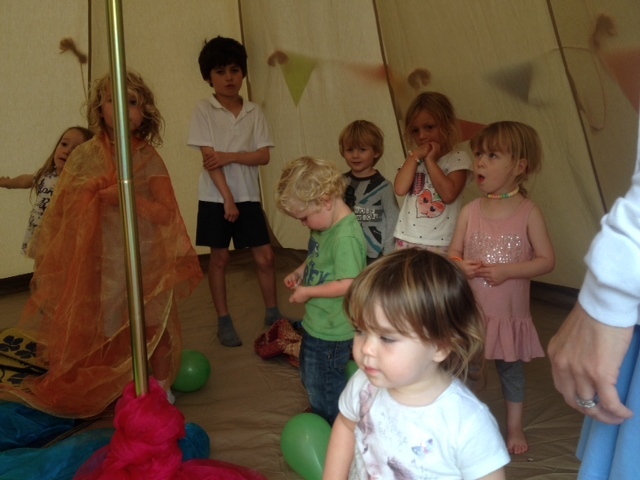 Tipis are great venues for stress free children’s parties. We use our 5 metre Tipi for the children which can take up to 22 children standing or if you wanted to feed the little ones inside it can seat 16. The parties can be held in a private garden or a public space. As long as the gathering does not exceed 150 people then the council are happy for us to pitch all day but not oversight. So as long as your not inviting all the aunts and uncles it should be ok! We decorate the tent with bunting, fairy lights and drapes. For an extra charge the tipi can also be themed according to girl or boy or their favourite character. The kids love the tipi, and it gives you peace of mind with our unpredictable weather.. All you have to do is send the invites, bring the food and turn up. Posted in: Birthday parties - Entertainers, Venues & Party Food, Camping / Glamping.